Are you a church pianist who wants to learn how to play better? Do you want to learn such skills as arranging beautiful solos for offertories, accompanying your congregation or perhaps a soloist, and playing quiet background music during reflective points during a service? You may have already had some lessons to learn these important skiills. And you probably ended up frustrated. Don’t feel too bad because the traditional way that church music improvisation is taught is ineffective. I know how frustrating learning improvisation can be. A student of church music for almost thirty years, he understands the weaknesses in how this skill is almost always taught. Here is the way it usually works. The teacher (a competent church pianist) plays a song on the piano while you watch over their shoulder. As they play, they point out technical things that they are doing chord substitutions, patterns, etc. At the end on the song, they tell you to go off and do it yourself. Later, you sit down at the piano but realize that you don’t remember what they did. And you certainly don’t understand why they did it! 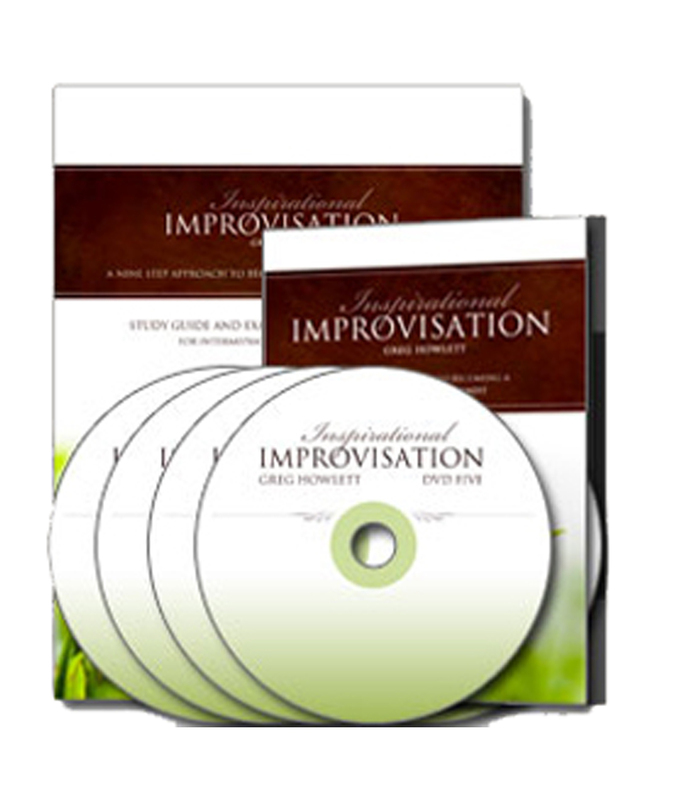 I use a totally different approach in Inspirational Improvisation. Rather than working through songs, I work through nine important concepts. Each lesson thoroughly discusses why and how a specific concept works. After the concept is applied to a song, a homework assignment is given to help students apply that concept to songs they pick out for themselves. The goal of this course is not to get you to a point where you can play a few songs well. The goal is to give you nine concrete concepts that you will learn well enough to apply to any song you wish without even stopping to think. 1. How to read music (general basics such as naming notes, counting, key signatures, etc.). 2. Basic theory. You need to know how to play a major scale. Ideally, you can build simple chords such as major and minor triads. If you need help in this area, consider purchasing Theory for Church Pianists from GregHowlett.com. 3. How to identify chords and chart a song. You should be able to work through a typical song in the hymnal and write in the chords you see. If you need help in this area, consider purchasing the course How to Chart a Song from GregHowlett.com.